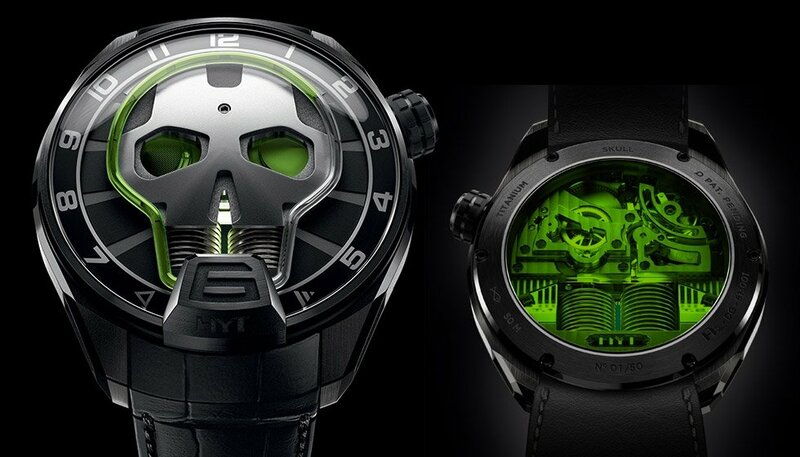 If there were ever a wristwatch made for supervillains, it’s got to be this timepiece from HYT. 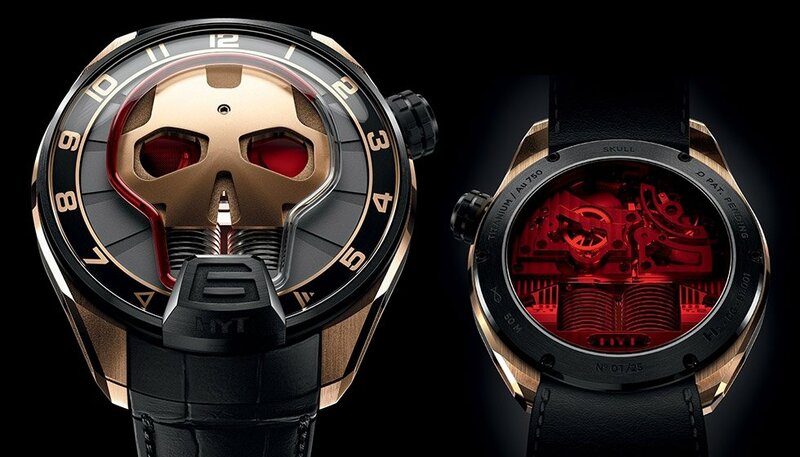 Made from black titanium and gold and filled with fluid, which flows around the skull to indicate the hour. No minutes, but who needs those?